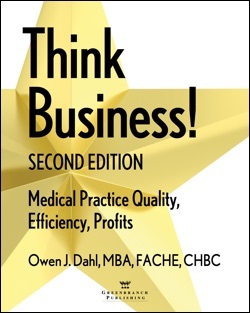 A second edition of Owen Dahl's best-selling book "Think Business! Medical Practice Quality, Efficiency, Profits" is now available. You can learn more or purchase it from Greenbranch Publishing here, or from Amazon here. You can purchase the new book from Greenbranch Publishing here, or on Amazon here. Schools and colleges are currently offering records of degrees in a wide range of regions including web based directing brain research degrees research paper writer online business, criminal equity, training, building, social insurance, cordiality, law, humanities, science, and online data innovation degrees and some more. orrespondence, and the work in education to be associated with alternate best essays organizations and people in the public eye. What number of instructed individuals are genuinely monetarily effective? Most alumni UNIVERSITY IN KENYA battle all through life to make a decent living, yet without any result.